Perhaps the best off-road option Toyota offers, the 4Runner has the body and frame to match up with any other model in a durability contest. Don't worry, it also has excellent handling in the city for those of you who don't want to get dirty. Move from muscle and off-roading to class and luxury. The Avalon is Toyota's most luxurious sedan and it is helped by a strong engine and solid fuel economy. The award-winning Camry has been one of the most popular and successful cars worldwide over the last decade. Its new look and spacious interior make it as coveted as any car out there. If gas mileage is your concern, the Corolla might be for you. It can be described as a smaller, more efficient version of the Camry, but it still shows off a bold style and exquisite interior. The Highlander is more of a family-friendly SUV that also delivers on fuel economy. The safety, entertainment, and comfort amenities make the Highlander as advanced as any in its class. Talk about a pioneer. The Prius is the one that really started off the hybrid revolution. The Prius family has grown to include several different variant models, each averaging up to 50 MPG. Take a sweet adventure in the RAV4! This midsize SUV has been lauded by consumers for years and its newest version has all of the technological features necessary to keep anyone entertained on a cross-country trip. With a bigger and badder V8 engine, the Sequoia offers more engine power than Toyota's other SUVs. Its bigger body allows for more passengers and room to spread out inside. Oh, and it has a fantastic towing capacity. 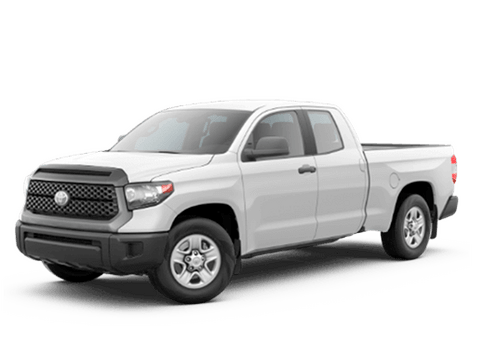 Midsize trucks are great because they aren't nearly as bulky and they generally do better on gas. Both are true for the Tacoma, which is also an ideal off-roading machine. Need to pull 10,000 lbs.? The Tundra can handle it. This great full-size pickup is just as capable and powerful as other truck giants. Find the right trim level for you that best fits your needs in terms of passenger and cargo space. The Yaris' compact body makes it a perfect car for city driving. Much like the Prius, it is great on gas mileage and has a surprising amount of space inside.